I have been working with clay ever since the good ol’ days of stubbornly diving into mud puddles after getting away from mom. Mud was irresistible then, and it continues to be to this very day. My artistic style is a combination of ageless spirituality and modern aesthetics. There is a mysticism, a focus on the regal, mythical, and fantastic. Though much of my work aims to be accessible to the general public, there is a constant connection with these larger themes, whether this be through color scheme or the shape of an object. The concept of One:Eleven Pottery originated when I sought to turn my passion into a physical enterprise. My goal is to share my work, work that is so deeply personal and unyielding. I want to be able to spread it among others and form a lasting connection. It is my belief that with every object that I make, no matter how mundane or magnificent, there is a piece of myself inside. 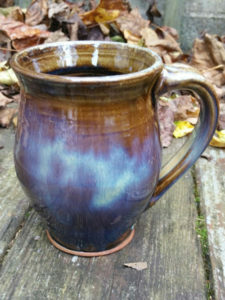 Pottery is a way to establish personal connectivity, a lifeline with others. To come together for the sake of art and all that is magical and beautiful in the world, that is my one true goal. I have a formal education in the arts. I graduated from Towson University in 2014 with a degree in Ceramics and a minor in Art History. It is my belief that I will always be a student, even when I am old and gray or teaching others the ceramic craft. 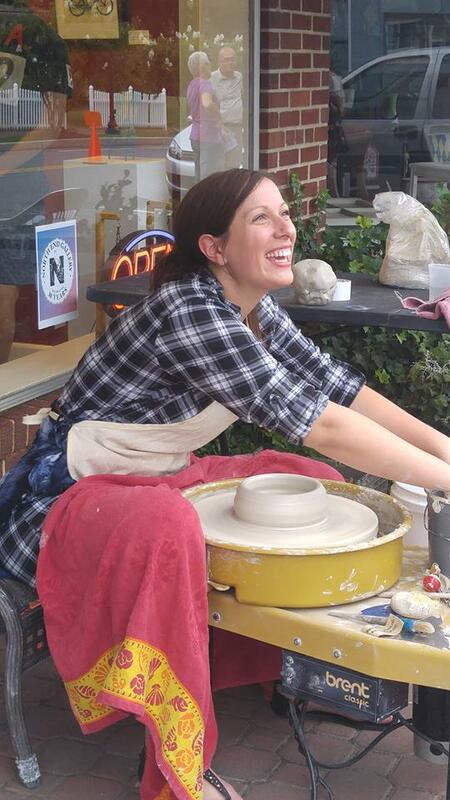 I am currently extending my knowledge-base by attending workshops, community events, weekly classes, and ceramic conferences. I am greatly inspired by other potters in the field and I believe in honoring them by emulating their teaching and practices. I am the humble sponge and all of my learning experiences have given me the ability to attend and sell my work at shows, festivals, pottery sales, and other various gatherings. The making of ceramics is closely connected to the very essence of life and our experiences. Through a conjuration of the elements, ceramic artwork is made. Ceramics begins with the spirit, of taking an idea and making the decision to manifest it. One must tap into the power of the earth, to house the spirit of this idea in the physical world. Then one must use water to shape the earth and give it form, to make it both solid and fluid. The piece must then be consigned to the air, to allow the wind to take away the movement of water but leaving its essence and the imprint of motion. Then fire must be used to fuse these other elements, to transform them into something everlasting and unified. The thought of being a wizard (see conjuration of elements), interests in the ancients, historically contextual work, Medieval and Renaissance culture/artwork, the regal and fantastic.